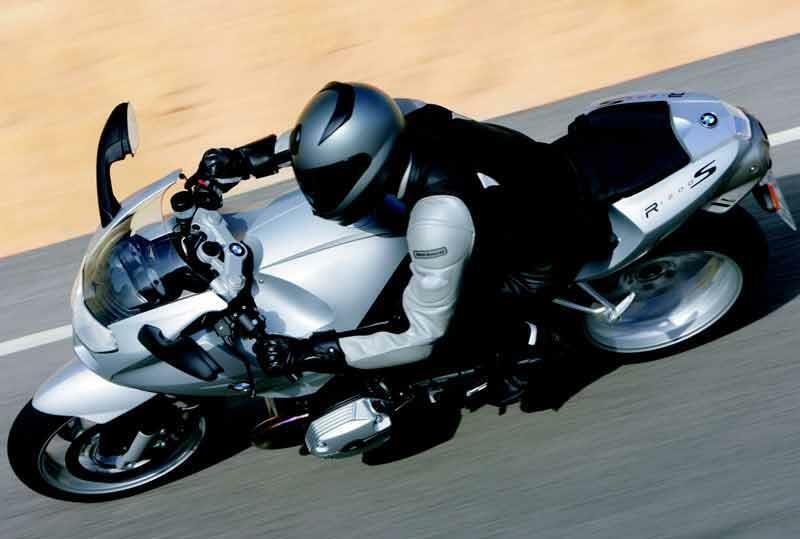 Somehow you already know if you want the BMW R1200S. The looks divide opinions, but only half as much as the Boxer engine and the Telelever/Paralever suspension do. BMW has strained the limits of these design parameters – and it only just comes off. As an oddball track motorcycle it works, but as an accomplished all-rounder it falls short of the standards set by the R1100S that preceded it. 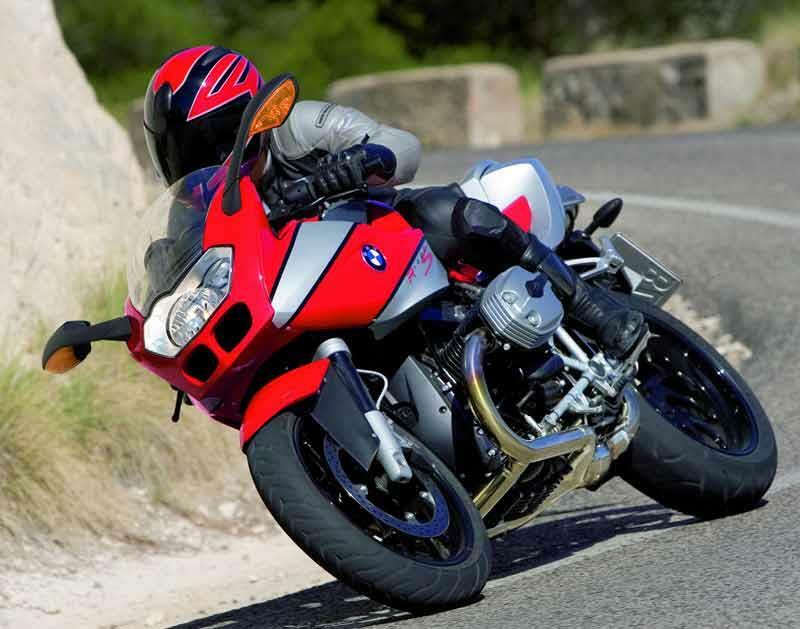 The BMW R1200S is very vibey – enough to leave your hands tingling after a long (200+ mile) journey – a character trait not shared by its older R1100S sibling. The R1200S is slow to turn in, but once over it holds a great line, though the optional Ohlins suspension package is a worthwhile extra. The (optional) ABS maybe reassuring on the road, but it’s rubbish for track action; losing composure braking over bumps. 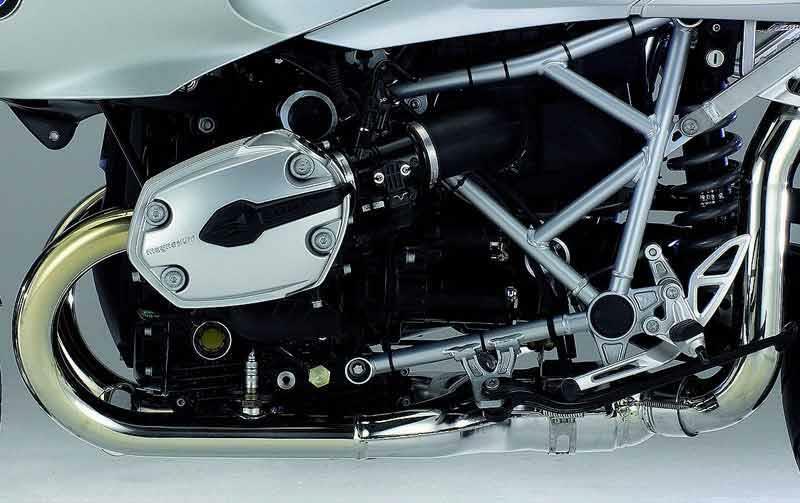 Boxer twins (where the two pistons horizontally oppose one another) are historically all about torque. But the R1200S's DOHC, 1170cc item loves to rev, building as it does to a second powerband at around 6500rpm. There is massive torque too, enough to rival Suzuki’s GSX-R1000, but because of this the engineers have built an eccentric pulley into the throttle twistgrip. This means that the delivery in the first few millimetres of travel doesn’t correspond to the expected shove – only becoming more linear later. Excellent. BMW’s build quality and customer service is second to none. Poor. 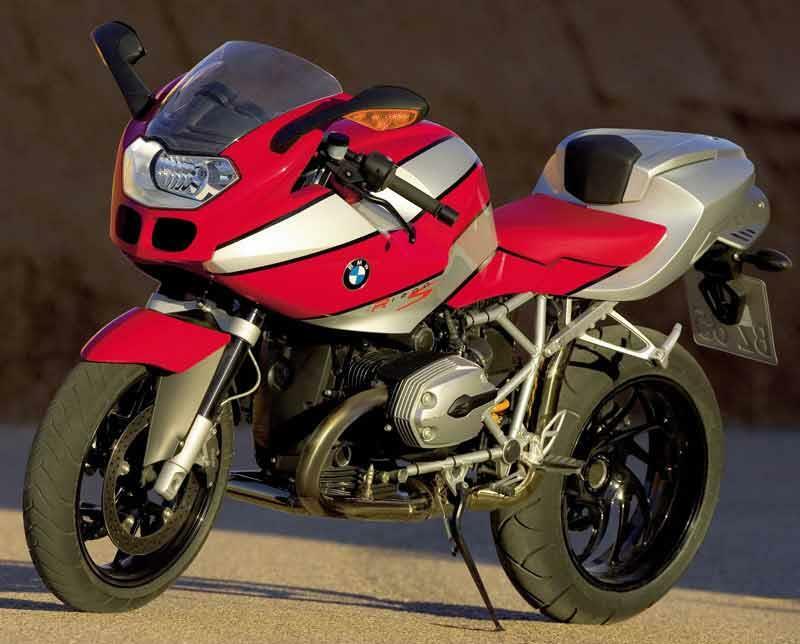 The R1200S is very pricey and very much a niche motorcycle. It will hold its value though as so few of these machines are released onto the market. 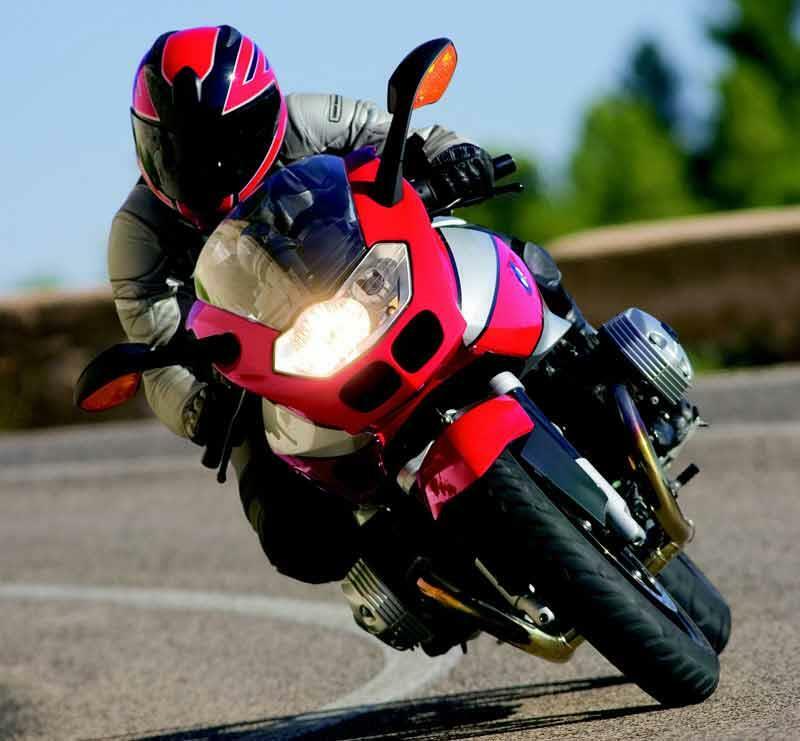 Find a BMW R1200S for sale. 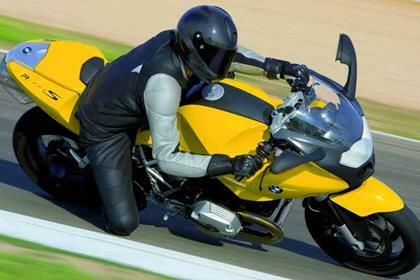 You get few extras on the BMW R1200S and what factory options there are (heated grips, wider rear wheel, Ohlins suspension) are very expensive. You do get an immobiliser as standard, though. Compare and buy parts for the BMW R1200S in the MCN Shop. 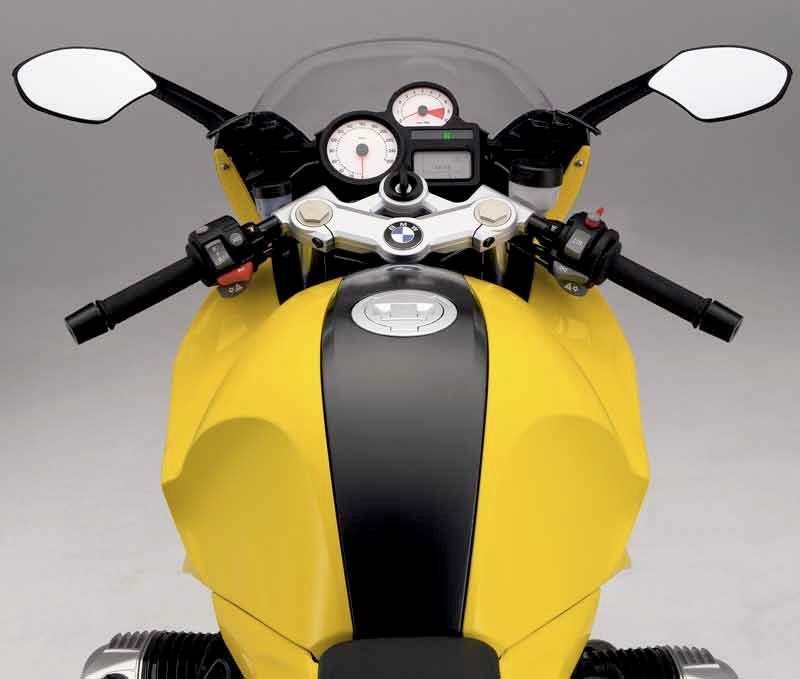 9 owners have reviewed their BMW R1200S (2006-2007) and rated it in a number of areas. Read what they have to say and what they like and dislike about the bike below. Love it, best bike ever ridden after 30yrs of riding, may not have the best handling, power and etc... But it is so user friendly that it can be ridden slow in city and very very fast on highway, can reasure me in corners and yet able to tour on it with super good FC at 20km/ltr and optional tank bag and side panniers. Love at 1st sight in 2006 but was way too expensive and I just bought a Ducati 1000S so couldn't afford another one which is much/more expensive. Understand only 1 unit in Asian, parallel import from Germany Munich HQ by my mechanic back in 2006. Last year the 2nd owner decided to sell so I jumped into it without negotiation, still a damn nice looking bike to me after 11yrs and I still love it. Not sure why many think the R1100S looks nicer, I like it as well, but if you look at it now, it does look very dated and many still ask if my bike is the latest BMW model, not a scary fast bike but I would think it is like the Z8. Fast enough to enjoy it and with style. Practical as well as it can be turned into a Sport Tourer easily. I've ridden for thirty years, partial to Euro bikes, thought I was partial to Triumph's and Moto Guzzi's. Owned a K1200GT for a while, didn't light me up. Along with a Ducati ST4s, I ride the R12s. I love it to death. If I were forced to part with one of these, the choice would be easy....the yellow Boxer! I don't know where the writers get vibey handlegrips and such. I just don't have a gripe with any of it, though I wish the exhaust didn't sound like a vacuum cleaner. Love the big, massive cylinder heads sticking out there. This baby looks like all engine. Love the half-fared bikes, though I'd prefer to have something solid to grip between my knees than body panels. Have had zero issues in three years of ownership. Everything works as it should. I'm the second owner, picked it up for $6400 with app. 15k miles, needed tires. Basic maintenance I do myself. Easy peasy. Heated grips, basic info on the dials, is enough for me. Bought privately, these bikes attract fastidious owners. BMW goodies are worth it: ABS (you can switch that off for the track), heated grips, definitely try to get one with the dash computer (fuel gauge, range...), Oehlins and 6" rim. Have just become a BAB after 18 years off them (bad accident in 97 after 25 years of very good times indeed) I bought my BMW because although I wanted "sporty" I didn't want "race replica". I also wanted a bike that could already be considered a "classic" (whatever that means), featured high build quality, stood out well and truly from the crowd, was technically "interesting" and of a "clean" integrated design. The R1200S ticks all these boxes for me. Its not an out and outs sports bike, but as 80% of Australian bikers ride Harleys, it is very sporting indeed by comparison with one of those sheds. It does vibrate (tingle) a bit, but that's all part of its character. I like the big twin motor (only ever had jap 4's all those years ago) and the shaft drive; its very grunty indeed and fairly bellows at high revs. 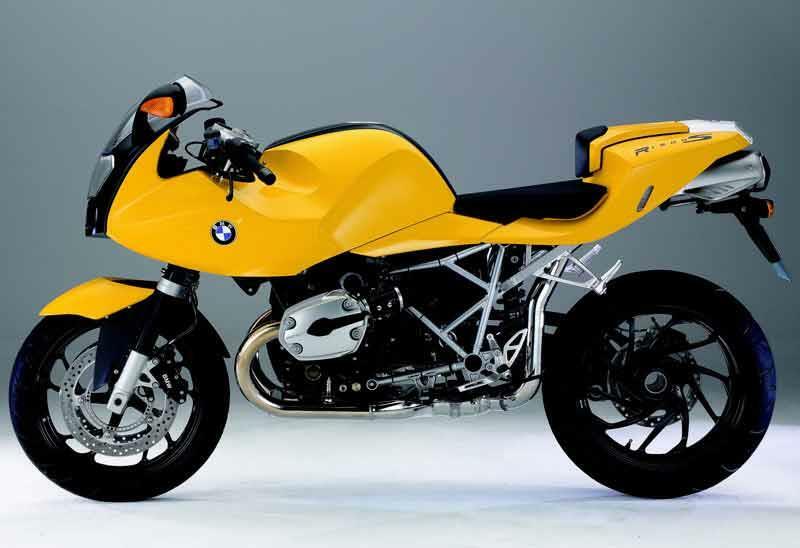 The engineering quality is self evident and I like the way BMW didn't follow the crowd with this bike. It reminds me of Fred Dibnahs traction engine and long may it continue to do so. It is VERY satisfying indeed to ride. Ohlins front and rear. Paralever front end = no dive when braking. Very cleverly engineered. I like that. 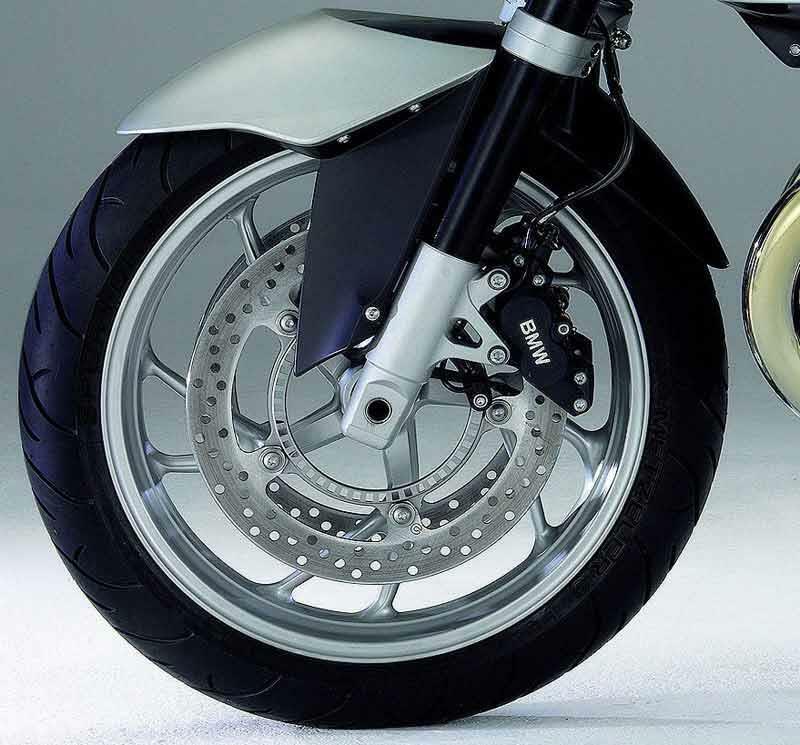 Brembo front brake is excellent, back brake is there just for show. Even after bleeding its still way below what I remember being par for the course in 1997. The ABS is great for road riding and can be turned off for heavy duty track action, although I doubt the average owner will ever get anywhere near the bikes full capability (with a few notable Youtube hero's). On Australian roads (which aren't too good) the ride is firm and supple - never harsh. I have yet to play with all the settings available on the suspension units, and would expect to find a setting somewhere in there to suit all and any riders is achievable given some expertise and patience on the riders behalf. TORQUE - This engine could pull a caravan! The way it revs is also a amazing. Do not for one moment think this is a flatulent BMW boxer twin of old because its not, it revs straight round to the limiter quick smart and the ZF gear box and shaft drive are very good indeed - clean and efficient. This is not "throw away" engineering, even if its far from ground braking. 4 valves / cylinder, 52mm dia throttle bodies provide plenty for the real world "go" thank you very much. BMW's of this era are fairly risky used buys. I've owned the bike 5 months and have already had my first safety recall concerning the hub / final drive unit (which apparently if over-torqued could fail and cause a "rider critical situation" (BMW speak for crash I suppose). I bought the bike with 3500km on it after nine years (yes less than 2000 miles in 9 years by the previous owner) so even though 9 years old, its basically as new. Ohlins suspension, Brembo brakes, what else is there to add? I just love looking at the clean, clever engineering on this bike that nobody else has copied. BMW dealerships are a bit pricey. Find a good old BMW expert and let them do their bit. Fuel injection needs a little TLC as does final drive. BMW's wont tolerate neglect half as well as a jap four so maintenance needs to be put "front and centre" at all times. Mine came with all the expensive Ohlins suspension and 190 section back wheel, plus the novelty of heated grips (which even though I live in Queensland I used for the first time last week) - all bikes should have these. Bought privately sight unseen except for a load of digital photos sent to me by the seller over the net. The seller was located in one of Perth's (Western Australia) best suburbs so I took the punt and everything worked just like magic. This model of bike doesn't attract idiots so I felt quite secure in this respect. Question: why are BMW dealers so snooty? I've just sold my R1200S, which I owned for nearly 4 years. I traded in for for my next bike and got 67% of the value I originally paid for it back. Now that is value for money. Its by far and away the best bike I've ever owned and I've had 1 Honda, 2 Suzuki's, 2 Yamahas and 4 Triumphs over the years. No stupid oily chain to deal with and character galore. MCN have got it wrong on this one. Real bike, sporty and comfy in one package. Suspension is excellent, especially on twisty roads. Has torque enough to challenge japan made plastic risepots. Sound is only poor thing. I've have ridden silver one this summer, with great pleasure. An Excellent Real World Sports Bike with the charm of a twin and the handling of a 600! 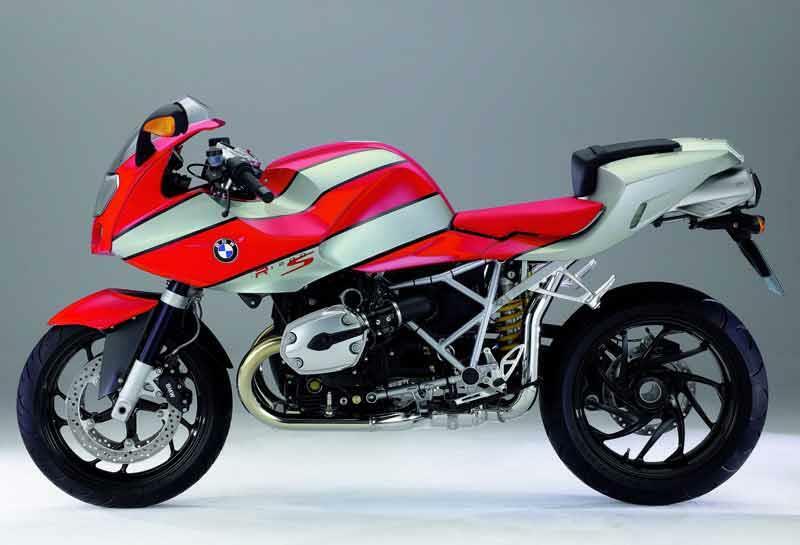 BMW are attemping to lure owners away from the boring and somewhat overcrowded Japanese inline 4 market by offering a "Real World" sportsbike with the proven reliability of the most powerful (122hp) boxer engine they have ever made. The looks certainly aren't in Ducati 996 territory, but it's without a doubt the most beautiful twin they have made, especially in plain black. I would recommend the alt drive option and the "sports" back wheel (190 from standard 180). Ohlins shock doesnt really make much difference on the road and is a rather expensive option. Vibrations are noticeable however I found after fitting a full remus system it not only improved the look of the back end, but helped the engine to rev more freely - all backed up by a thumping note. Highly recommended if you want a performance bike with ample torque and the charm of a twin. 0-100 it will keep up with most bikes out there. Strengths: Lightweight, well balanced bike with a somewhat "classic ducati" look in many regards. Without a doubt the prettiest "boxer" BMW especially in the gorgeous black paint they offer. Engine has plenty of torque and revs better than a standard boxer BMW. Fast bike from 0-100. Weaknesses: The standard version without the alternative drive has a tall first gear making fast take offs a little more difficult than they should be. Standard exhaust system is ugly and muted, a remus system is recommended. Also there is no real need for the lack of fuel gauge on the bike. Vibrations are noticeable over 5k revs. Saw the picture early in the year and fell in love immediately. Ordered it just from the photos and was not disappointed. It's still early days, and have just had the first service so not yet fully used its potential (probably never will! ), but the power is very usable, and performance and handling gives lots of confidence. Strengths: In the flesh the looks are fantastic, I love the rear end. The handling inspires lots of confidence with loads of usalble power. Weaknesses: Some people will not like the look of the old style boxer twin engine, and if you are after something for track days, there are more focused performance machines out their, otherwise for a usable real world sports bike it's fantastic!